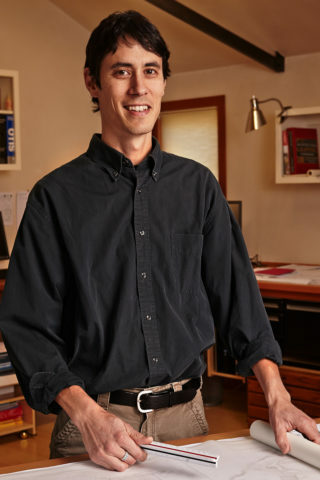 Roger has practiced architecture in Eugene since receiving his Professional Masters of Architecture degree from University of Oregon in 2004 with a concentration on energy use in buildings. His experience as a fine woodworker and cabinet maker translates into pragmatic, expressive and detailed design ability. Roger traveled, worked and studied in numerous countries, and seeks to utilize natural building materials, simplicity, and the appropriate use of daylight in order to create environments that sustain and embrace human life.